Does Segregation lead to interethnic violence or interethnic peace? Mohammad Ali Road, and Bhindi Bazaar remained free of violence (Kawaja 2002). Violence between Hindus and Muslims in Ahmedabad in 2002 was found to be significantly higher in ethnically mixed as opposed to segregated neighborhoods (Field et al. 2008). In Baghdad during the mid-2000s, the majority displaced by sectarian fighting resided in neighborhoods where members of the Shi’a and Sunni communities lived in close proximity, such as those on the western side of the city (Bollens2008). 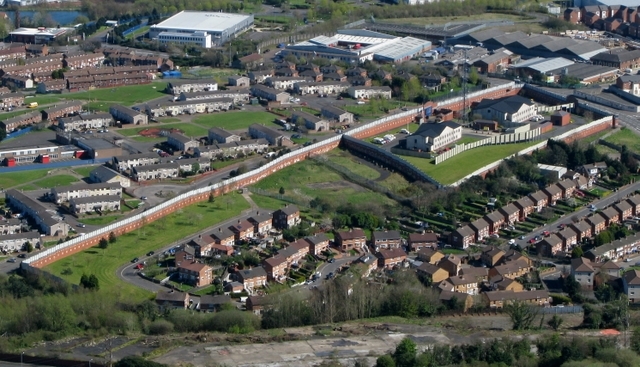 Race riots in the British cities of Bradford, Oldham, and Burnley during the summer of 2001 were attributed to high levels of segregation (Peach 2007). In Nairobi, residential segregation along racial (K’Akumu and Olima 2007) and class lines (Kingoriah 1980) recurrently produced violence. In cities across Kenya’s Rift Valley, survey evidence points to a correlation between ethnically segregated residential patterns, low levels of trust, and the primacy of ethnic over national identities and violence (Kasara 2012). In Cape Town, following the forced integration of blacks and coloreds by means of allocated public housing in low-income neighborhoods, a “tolerant multiculturalism” emerged (Muyeba and Seekings 2011). Across neighborhoods in Oakland, diversity was negatively associated with violent injury (Berezin 2010). Scholars have advanced many theories about the link between segregation and inter-ethnic violence (which I won’t discuss right now), but none of them appears to account for all of this empirical evidence. Of course, one might be inclined to argue that segregation is not the real cause of inter-ethnic violence, or that it is but one of many causes and that the role played by segregration in the complex causal structure of inter-ethnic violence has yet to be adequately specified.